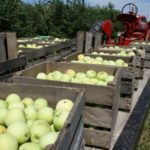 Golden Delicious Apples - Tuttle Orchards Inc: Indianapolis Apple Orchard, Pumpkin Patch and Farm Store. Golden Delicious began as a chance seedling, perhaps of Grimes Golden, on a farmer’s hillside near Bomont, West Virginia. In 1914 Stark Bros., our nations oldest and largest commercial grower of fruit trees, bought the tree for five thousand dollars, and protected its investment with a tall cage, complete with burglar alarm. 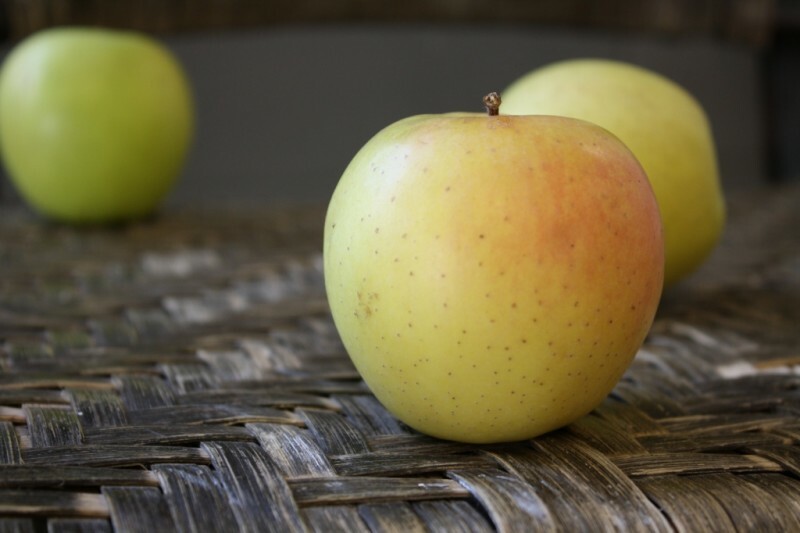 Golden Delicious apples have a rich mellow flavor and a skin so tender and thin that it doesn’t require peeling for most recipes. Its firm, white flesh retains its shape and flavor when baked or cooked, making it the preferred “all purpose” cooking apple. These apples are wonderful for salads and fresh eating. They also are considered the best apple choice for cider. This is our best seller here at Tuttles…we like to call the Golden Delicious the “old faithful”.